For eight years, Forbes Magazine has been offering the America’s Top Colleges List so that students and their families can find quality education at affordable costs. The list is a collaborative effort between the Center for College Affordability and Productivity in Washington DC and Forbes. The list consists of over 600 schools and supplies information about the distinguishable features of each school on the list. The Forbes list of America’s Top College focuses, not on SAT scores, school class rankings, and other elite metrics. Rather, colleges are chosen by their student satisfaction, the success of post grads, academic success, student satisfaction and the percentage of students that graduate from a particular college or university. You will need to research the school you are thinking about attending. You want to go to an accredited university: one that has superior programs, educational flexibility, and potentially accessible student loan programs. You can run a comparison of different colleges to see what they offer in the way of studies, and cultural pursuits. You want to attend a school that has reasonable tuition rates as well as a small student to teacher ratio. The leading colleges in America have tuitions that range between $44,000 and $62,000.00, but most have students that attend while taking advantage of financial aid options. The Ivy League Colleges have fewer students in terms of population. Still, there are some amazing state colleges that have lower tuitions, but higher student populations. According to Forbes, Williams College in Massachusetts is considered one of the top schools today. The school has a student body of over 2,171. The tuition of the college is a bit pricey, however, with a yearly cost of over $61,800.00. Of the students that attend Williams College, there are 65% of the students making use of financial funding gained through student loans and grants. The faculty to student ratio is small at a rate of seven students to every one teacher at this private university. US News lists Stanford as the second in the list of the top ten schools, but Forbes gives the second place position as an even higher rating because of the school’s population and commitment to educational excellence. The University has a yearly cost of $60,750 a year with a student body of 18,519. The percentage of students who apply for admission that are accepted into the school is only six percent, but up to 62 percent of the attendees at the college may qualify for financial aid. 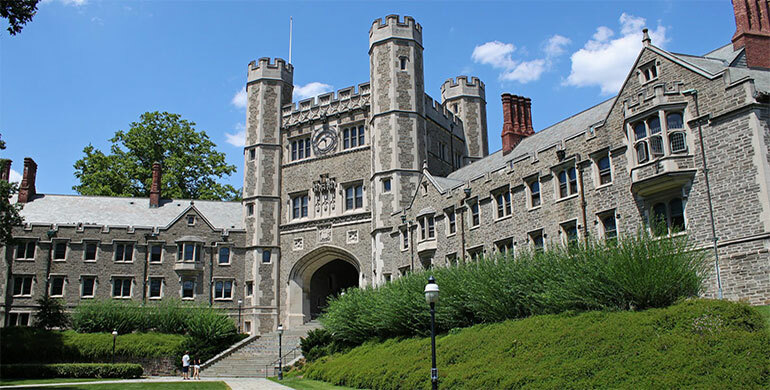 Forbes names Princeton University as the best university in the nation, but US News gives the college a rating landing it in position four out of the top ten. The New Jersey-based college has tuition of over $55,800 a year. Only seven percent of all students who apply for the college gain admittance. Princeton is ranked as number four on the list of private colleges, three in terms of schools in the Northeast, and number one in the list of grateful grads. All of the above schools are ranked based on the type of education they offer, the tuition fees, and affordability factors. Each of the schools has a long and fascinating history, one that leads to the prestige of the school in question. Be willing to research different programs and do not rush into anything you are unsure of when it comes time to select a college. You need to be comfortable with the campus options for study versus online study as well. American Top Colleges await eager students looking to earn a degree in any field. Previous post: Looking for Cliff Jumping in California?